Sydney Cup placegetter Sir Charles Road (l) will need some defections to gain a Caulfield Cup start. New Zealand stayer Sir Charles Road’s chances to make the Caulfield Cup field hinge on the how many European horses will be declared at the first acceptance stage. Co-trainer Lance O’Sullivan was more than pleased with the Sydney Cup placegetter’s fourth in Saturday’s Group Three MRC Foundation Cup (2000m) at Caulfield won by Night’s Watch. “I was very pleased with his performance, but we won’t know until after the next payment is made on Tuesday whether he will get in the Caulfield Cup,” O’Sullivan said. 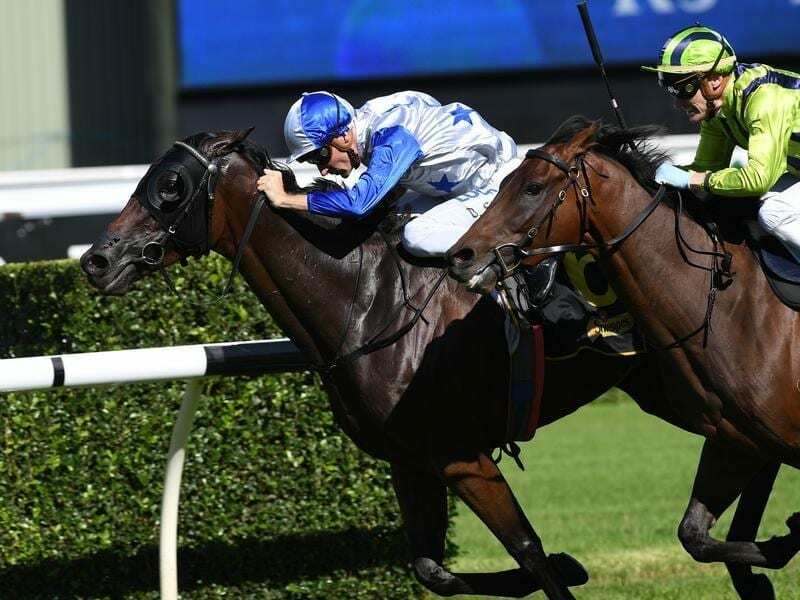 Before his third behind Who Shot Thebarman in the Sydney Cup in April, Sir Charles Road won the Group Two Chairman’s Quality (2600m) at Randwick. O’Sullivan was boosted by jockey Dwayne Dunn’s assessment after the gelding ran on Saturday. “Dwayne said he was going to improve a lot with the run and we always knew that,” O’Sullivan said. “He hadn’t run for three weeks, but he’s flying. He keeps going to the next level. “He’s really grown up with his trip away to Sydney. That’s made him. “If he’d been beaten five or six lengths I’d have said he wasn’t up to it, but he proved he’s competitive and that was great to see.